E3 2018 was pretty good this year, even if I wouldn’t call it my favourite E3. I don’t mind too much since TGS is always the better conference for news of new JRPGs, but regardless we did get a few interesting ones at E3. As someone who usually finishes E3’s conferences most excited for what Sony is bringing, I found Nintendo’s conference more interesting as a JRPG fan, although all of the conferences had at least a little bit of news about what’s coming to the genre in the next year. As with all E3’s there were a few surprises big and small for JRPG and video game fans in general, so these are the JRPG trailers and announcements that got me the most excited at E3 2018. As one of the biggest new JRPG announcements of E3 2018, Tales of Vesperia: Definitive Edition was announced on the Xbox Stage as coming to consoles in Winter this year with new characters released in the West for the first time. The trailer looks great, especially when compared to clips from the original Tales of Vesperia gameplay from ten years ago and as someone who has been wanting to fix my lack of experience with the Tales series, this seems like a good way to do it. 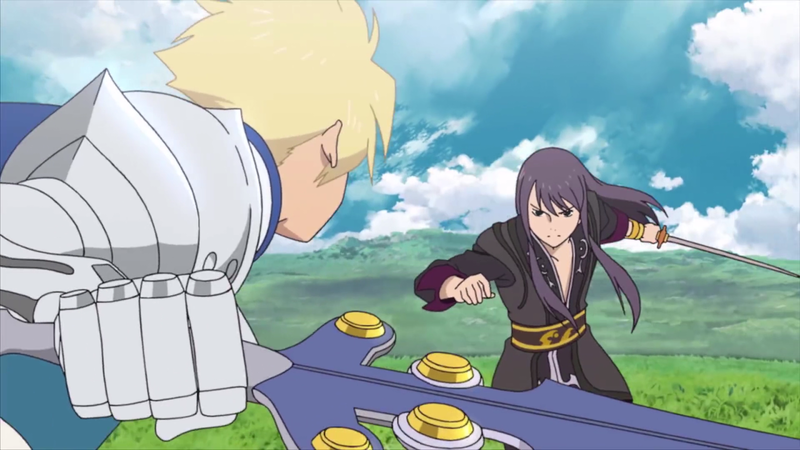 My only experience with Tales of Vesperia has so far been in the smartphone game Tales of the Rays where I got the main protagonist Yuri in my party and liked him as a character, so I look forward to getting to know this game that many JRPG fans seem particularly fond of when it comes out. 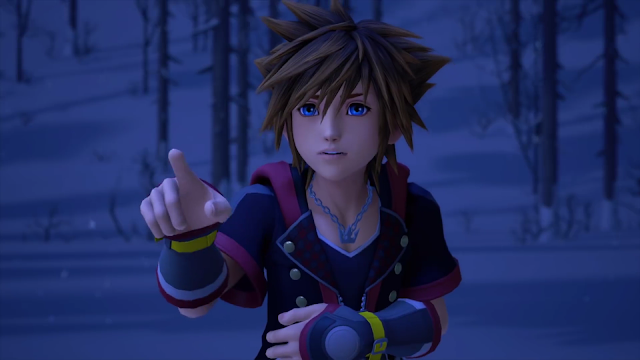 Joining in the big JRPG announcements was one somewhat unfortunate announcement that Kingdom Hearts 3 will not make its previous 2018 release window, but now has a release date of January 29th next year. 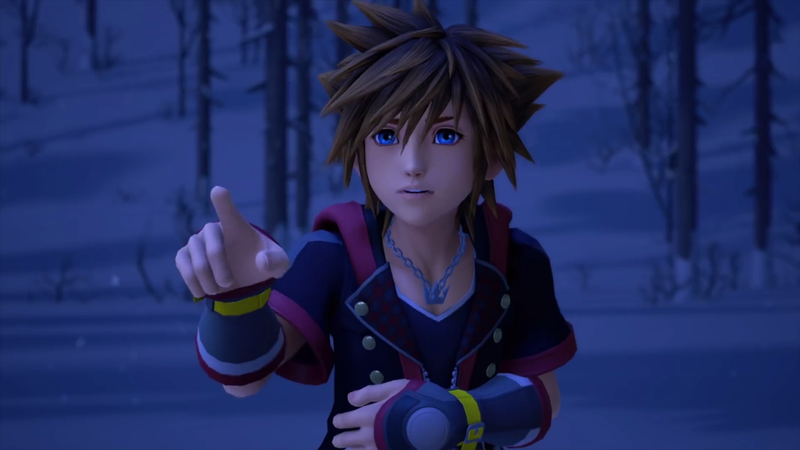 Making up for the delay was quite a bit of trailer footage to give us an idea of what we’re looking forward to and as I’ve said before on Twitter, every time there is a Kingdom Hearts 3 trailer I become more okay with waiting because I want it to be every bit as good as it looks. There’s so much, possibly too much, to look forward from these new trailers and the gameplay footage during E3. There are new worlds from Frozen and Pirates of the Caribbean, the cool looking keyblade transformations and theme park ride summons, enemies both familiar and new, the Toy Story world looks incredible, the Gummi Ship is back along with a bunch of great characters and more that I’m probably forgetting because it just looks that good. Even with it’s January release date, there’s probably also too much for me to catch up on with its story with its many games based before between and after Kingdom Hearts and Kingdom Hearts 2, but regardless of where I am up to in its series, I will absolutely play Kingdom Hearts 3 when it comes out and it's definitely my most anticipated game for next year post E3. While most people were probably hoping for a big, proper JRPG announcement for E3, my personal prayers were answered as the Persona Dance games for Persona 3 and Persona 5 finally got localisation announcements. 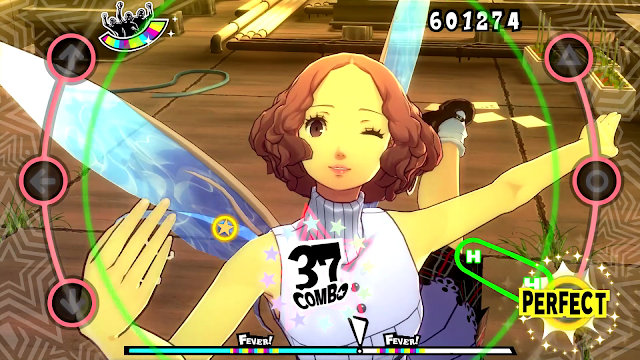 With their new localised titles, Persona 5 Dancing in Starlight and Persona 3 Dancing in Moonlight are due out early 2019 in English and I can’t wait for more people to try these fun dance games. I’ve been playing both Persona Dance games in Japanese recently (I’ve already reviewed the Persona 5 one!) and as a fan of Persona 4 Dancing All Night I love these new additions with their fantastic remixes and tracks from already great soundtracks and more fun moments with both wonderful casts. Hopefully they’ll announce a more solid date sometime soon, but I’m just happy to hear they’re coming at all so that everyone can play this great rhythm spin-off game. I’m sure myself and many of you have more than enough content to keep us going in Xenoblade Chronicles 2, but Nintendo’s Trailer and content showing the new DLC expansion Torna, the Golden Country has truly sold the expansion pass to me for the amount of new things it adds to a game that is already overflowing with content. The story content in the trailer looks like it will add to the current story of Xenoblade Chronicles 2 well and the deeper look into the gameplay shown in Nintendo’s Treehouse event made the DLC all the more enticing. 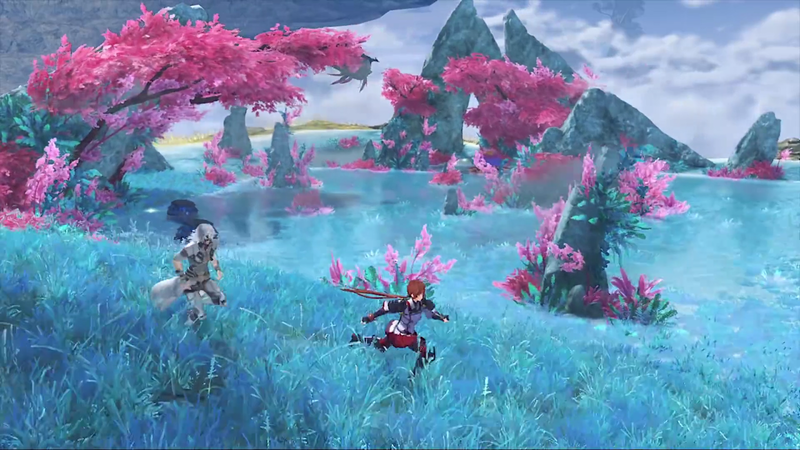 As they ran around the map, I could see more of the quests and collection points I loved doing and going to so much in the original and the updated battle system looked good with its character switching, so it looks like it’s going to be a full and fun new Xenoblade Chronicles 2 experience. The new Challenge Mode is playable now for players with the Expansion Pass and after seeing great footage of everything new in Xenoblade Chronicles 2 at E3, I hope to jump into it with my own Expansion Pass soon. 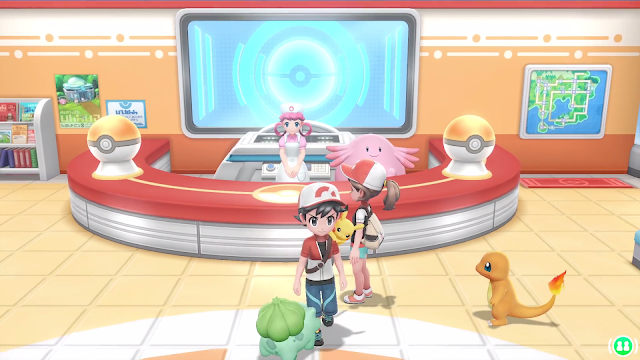 Speaking of games with lots of things to do, Pokemon Let’s Go Pikachu and Let’s Go Eevee received a few updates during E3 this year, including a good look into its gameplay during Nintendo Treehouse. I was very happy to see how some of the battles work and the running around the cities and grassy areas that look like more anime versions of what I remember from Pokemon Yellow and the addition of the JRPG mechanics in battle and raising Pokemon has got me really excited for this release. I thought the little Pokeball Plus looked cool when it was first shown, but having Mew inside it along with being able to make the sounds of other Pokemon is a cute feature that has made me want to pick it up as well and despite the fact I haven’t played Pokemon GO in a long time, it s E3 coverage has really made me keen for Let’s Go and using the two experiences together. I’m most excited for the core Pokemon game coming next year, but I think Pokemon Let’s Go Eevee and Let’s Go Pikachu will tired me over just fine in November with its innovative Pokemon adventure. 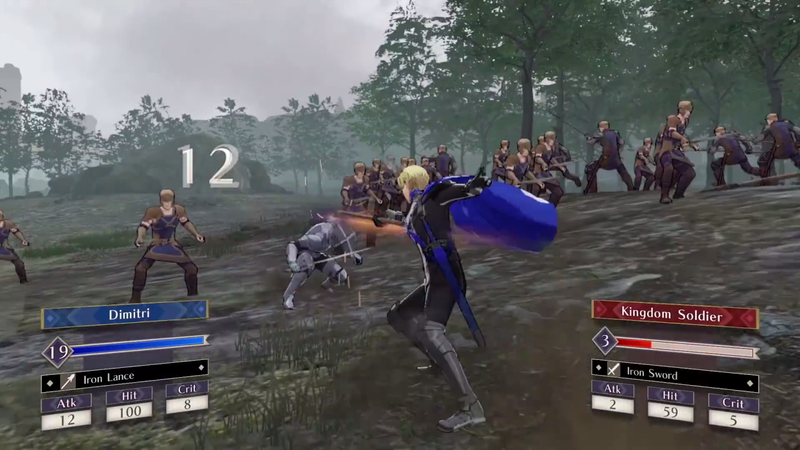 Nintendo’s conference kept the excitement going with the announcement of Fire Emblem Three Houses, a new Fire Emblem game coming to Nintendo Switch in Spring 2019. There isn’t much known outside of the trailer for it, but the trailer got me pretty excited. 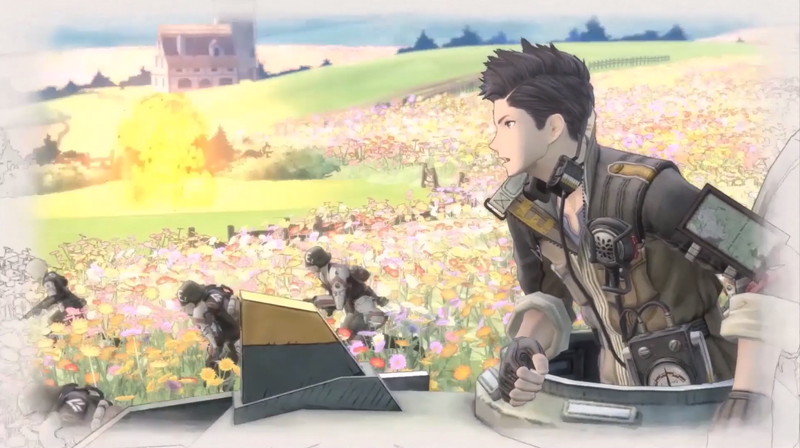 It looks similar to the previous Fire Emblem games with its tactical battlefield, but also updated with armies that seem to fight in battle alongside characters, so it’ll be interesting to see how it’s different from the already deep Fire Emblem experience. There’s a lot still to be revealed about this title, but I’ve been wanting to play another Fire Emblem game ever since I played Awakening a couple of years ago, so I’m interested to see what else is in Fire Emblem Three Houses as more gets announced. Dragon Quest XI is a game I’ve been curious about ever since it came out in Japan because of its popularity here and the fact I’ve never tried a Dragon Quest game, so I was glad to see more of the English version as I’d like to make it my first journey into the series. The trailer looked good, but what really got me excited were the previews of its gameplay. It seems to have a lot of old school JRPG charm while still looking modern graphics-wise and I loved the look of its combat and world so far with its charming looking characters. 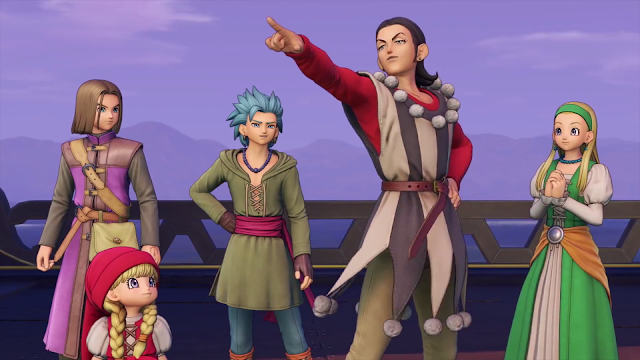 I have a feeling Dragon Quest XI is going to bring some much needed old school charm to the JRPG genre in September and I’m looking forward to trying it out as my first Dragon Quest game. 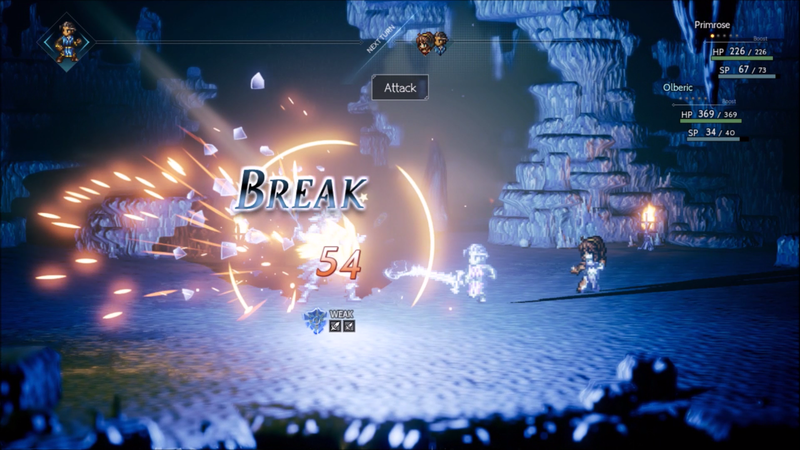 Octopath Traveler was one of those great E3 mentions that involved having something to play almost immediately and that was its new demo that came out towards the end of E3. I haven’t had a chance to play the demo yet, but I did watch the character trailer, along with the Nintendo Treehouse footage of it where they looked at some of characters in more detail and I’m interested in seeing more of the newly revealed characters that all look very different in terms of story. In saying that, I played mostly as Primrose in the first demo and she still stood out most to me in the character trailer, so I seem to be torn between playing her, H’aanit or Therion right now, especially after seeing H’aanit’s monster capturing in the Treehouse footage. I hope the new demo makes this choice clearer for me, but in any case I’m glad that Octopath Traveler got some attention in Nintendo’s main conference and look forward to playing it soon both in its demo and next month. While E3 2018 wasn’t jam-packed with JRPG announcements, I still find myself excited about what’s to come. A few of these games like Fire Emblem Three Houses and Kingdom Hearts 3 we won’t see until next year, but with games like Pokemon Let’s Go and Octopath Traveler coming out sooner, there’s a lot to fill out the year in terms of JRPGs. Overall, E3 did its job of getting me excited for what’s to come in the rest of this year and next, and if TGS can bring more JRPG goodness later this year, I’d say things are looking pretty good in terms of what’s coming in the world of JRPGs. What were your favourites from E3 this year? Do you think there was anything missing?